Traveling families can start making holiday plans at this very moment! The glamorous 5-star Royal Savoy has a special offer for families that your family won’t want to miss. This special offer provides free accommodation on a B&B basis for one child (up to 16 years of age) per family, whenever sharing a room with 2 adults. A fabulous 50% discount on meals at this stunning hotel is also part of this amazing offer! These family rooms are extra spacious, comfortable and have all necessary amenities, including a wonderful kitchenette area for you and your family’s convenience. A further advantage to this offer is the sofa bed that can be used for 1 or 2 children and an amazing sea view balcony. 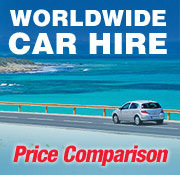 Check the unbeatable rates in the Special Offers Section now!